The hubs recently installed some shelves in our family room for me to decorate on! I've been working on perfecting the arrangement but wanted to show off this cute pumpkin project that was super easy to make! For this project I wanted something that I could craft real easy with supplies I keep on hand. 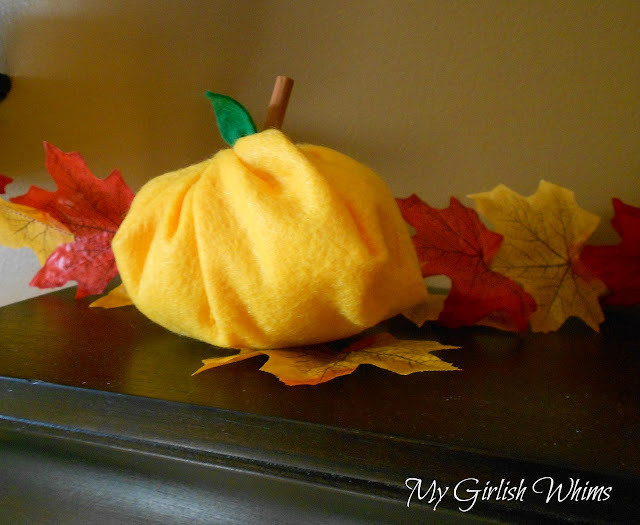 One of my favorite crafting materials is felt and I always have a good selection handy - so I whipped up a cute pumpkin real quick! I then stitched some lines in it to give it that pumpkin texture...but I realized after I was done it wasn't really necessary, so you can skip this step! Insert something as a stem, and stitch it up! I used an extra peg from those wooden frames you get for $1 at Michaels (I don't know why they give you two...) and just painted it brown. As an afterthought, I cut a little leaf from some green felt and stitched that on as well. So cute! I realized I didn't need to stitch any texture lines because the gathered felt gives it plenty of texture. 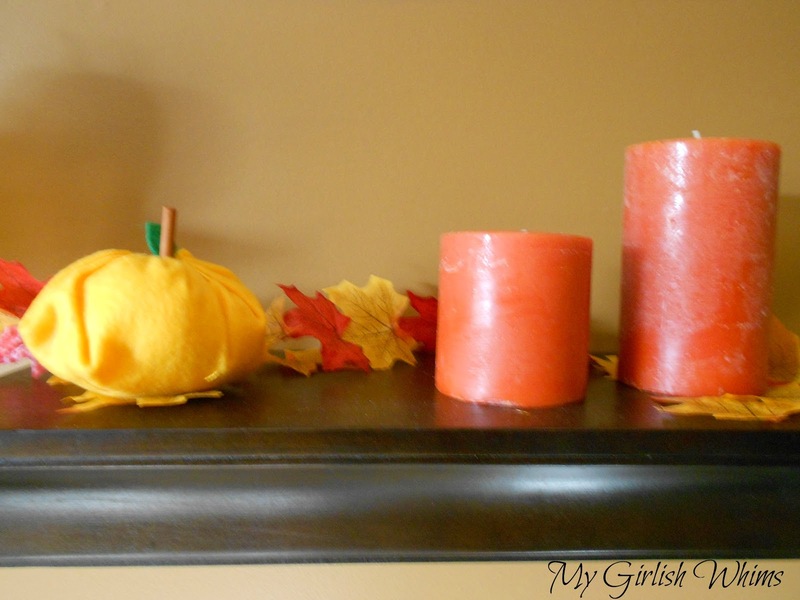 Here it is up on one of my shelves, perfect for fall! PS- this felt Jack-O-Lantern I made last year will be up there too! What fast and easy projects are you crafting for fall?? 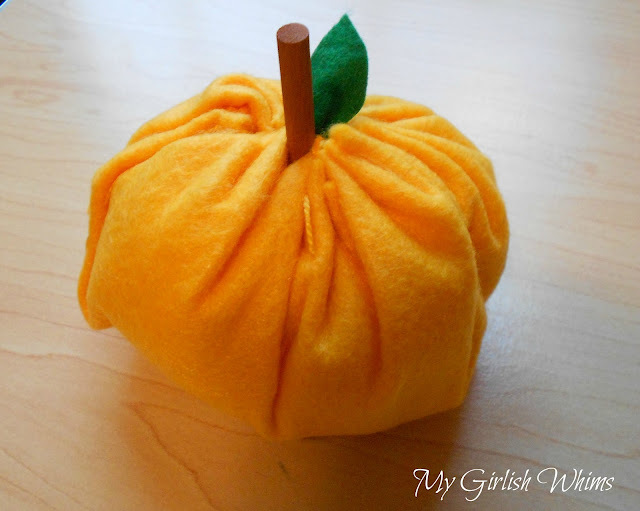 I have been seeing alot of these fabric pumpkins & this looks like the easiest thanks for sharing!